Josie was at the table today piecing together her mitered square blanket. It sure lives up to her instagram name @josiescolourfuljourney! A beautiful work of art. 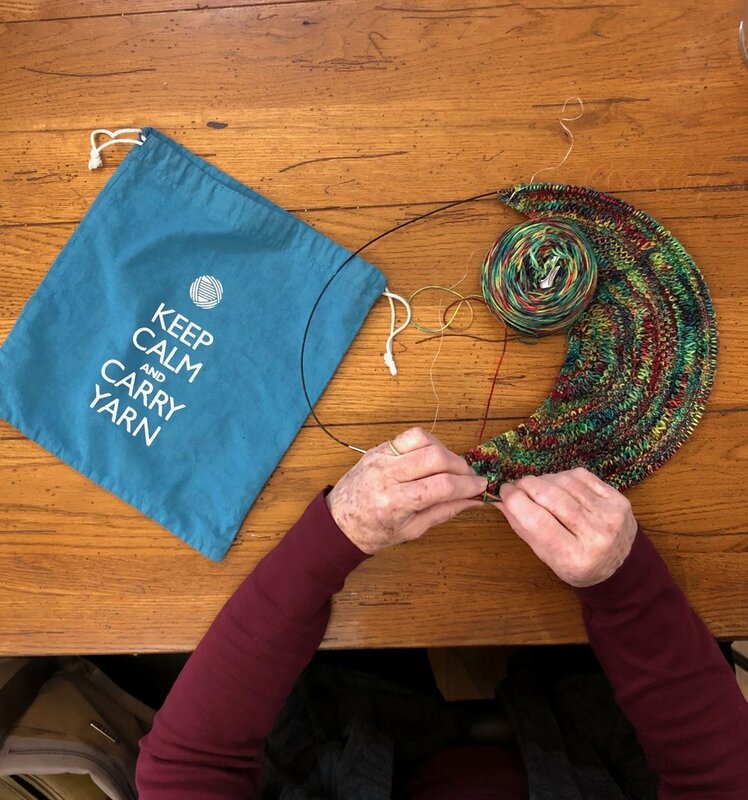 It’s wonderful when we meet people who take their projects “where the yarn wants to go.” Judy Keays is part of our community and is a freeform art crocheter - and author of Where the Yarn Wants To Go. We’re going to ask to see her flying saucers next! Sandy is working on a shawl by Steven West. 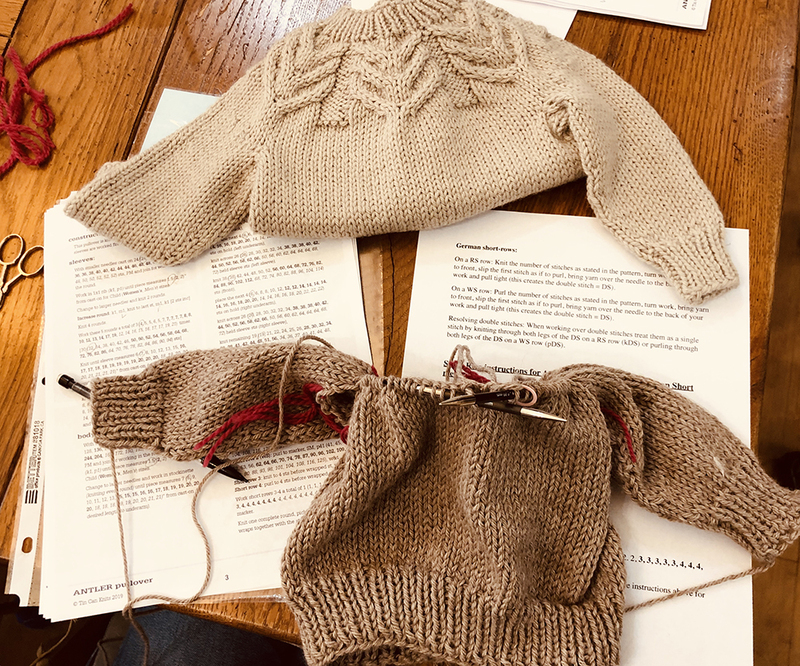 We love the Malabrigo sock yarn in Camaleon that she’s using! Annie is wearing her Indigo Frost poncho/capelet by Isabell Kraemer. She’s starting another one for her lucky sister. Building Blocks Blanket Class: Working on Michelle Hunter’s Building Blocks are a great way to up your skills. Look at their great first blocks! We have a big old farmhouse table in the shop that always has an awesome array of creative people sitting around it. There is a vase of needles, a basket of notions, a bowl of candy, and lots of extra chairs to pull up. People are inspired by each other, they choose colors together, help working the latest, greatest patterns, and fixing mistakes. We wanted to show some of the work being done both in classes and throughout the rest of the day. It’s impressive. We hope to have a diary to look back on pretty soon. Jump in. There’s always a place at the table.